Hey, everyone! 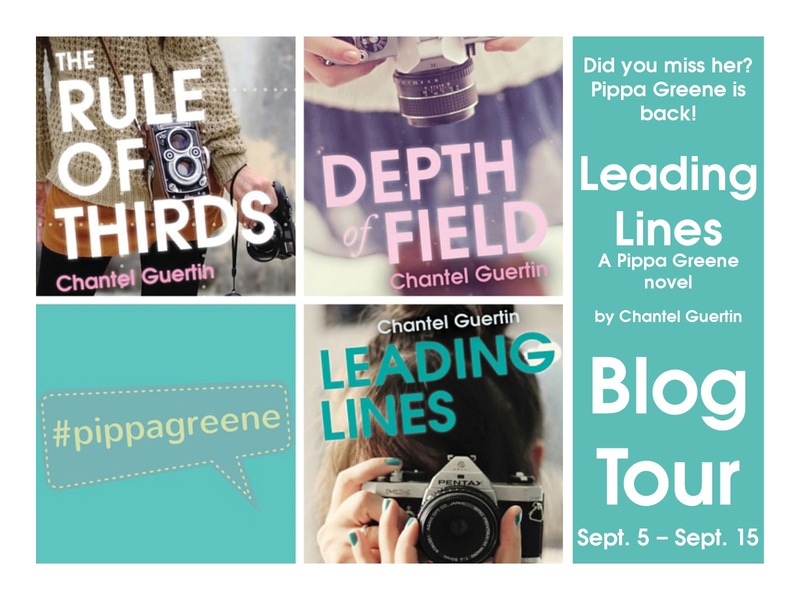 I’m so incredibly excited to be hosting a stop on the Leading Lines Blog Tour today! This is the third book in the Pippa Greene series and, having binge-read them all in a week and a half, I can honestly say that it starts out great and somehow just manages to get better and better :). Below I have my review for all of you to read and chapter 2 to get you hooked 😉 but don’t forget to check out chapter 1 hosted by ECW press as well! All that needs to be said is, “Is is time for the next book yet?” Okay just kidding, there’s a lot more I can say, but that’s the most important. I want more Pippa Greene! Let me tell you, I was hooked on this series from the beginning of The Rule of Thirds and only got sucked in deeper with each book! What resonated with me the most from Leading Lines was the progress and growth seen in Pippa. This is true for the entire series, but in this latest book it seems that she goes through it faster. Her decisions start to become more sophisticated and logical. She still does silly things, it’s natural for teenagers, but you see her starting to make choices in a more adult manner. Along the lines for what’s good for you vs. what you want. I saw a lot of changes in her thinking and decision-making that I went through when I was that age as well. I also found the story and characters very authentic. They were all flawed in their own ways but they also, I believe, all (eventually) own up to and embrace them. Their mistakes were something they learned from. I really connect with characters that accept their faults yet work on the ones they need to in an attempt to be the best person they can be. Loves weren’t perfect, friends had fights, things didn’t make sense. It’s what life is. (Even with all his bad choices, harmful actions, and flaws…Ben is still my book boyfriend *swoons*) The learning and attempt to do better is what matters more than being literally flawless. Continue being imperfectly perfect, book friends! Pippa seemed a little lost and boy-crazy at points and I really connected with her during those times. I remember how I felt when I was in high-school and looked at my single self and all the guys around me and was consumed by how badly I just HAD to date the current object of my affection (I just had significantly less luck than our Pippa). I like seeing her make strides to define herself outside of boys and do the things that make her happy while actually enjoying those things. I’ve been sitting here trying to think of how to describe my feelings and I found it! I feel like a proud mamma looking at how much Pippa has grown since The Rule of Thirds. Another interesting theme in Leading Lines is tragedy/grief and how people deal with it. Pippa has trouble letting go, her mother is better at making the tough decisions, others hide what they’re going through completely. I was going through a tough time of my own when reading Leading Lines and seeing how I was coping with my ‘pain’ reflected in the characters made me feel a little less alone. It’s also a good reminder that no matter how well people seem to be doing when you’re with them, you really never know whether or not they’re suffering. As I’m not a photographer, I found some of the finer points flew over my head a little but I still adored that element of the story! Seeing how Pippa looks at her surroundings in an effort to snag a great photo made me realize that maybe I wasn’t being as observant as I could or should be! This can be applied literally and figuratively but in a more direct application, I want to start noticing the small thing when I’m out walking or on a bus/streetcar. I want to see and enjoy the little shops I may have missed or the nice gardens…especially since we’ll be piled under snow and I’ll be complaining until the cows come home about it sooner that I can handle. On a final, lighter, and fluffier note, it was an incredibly cute story. I had a lot of fun getting wrapped up in Pippa’s world and relationships (even though both the romantic AND family ones didn’t go where I was expecting..I still loved where they ended up). I felt with and for her. It was like going through everything with my best friend. Leading Lines was like having another friend to go through things with me as well! 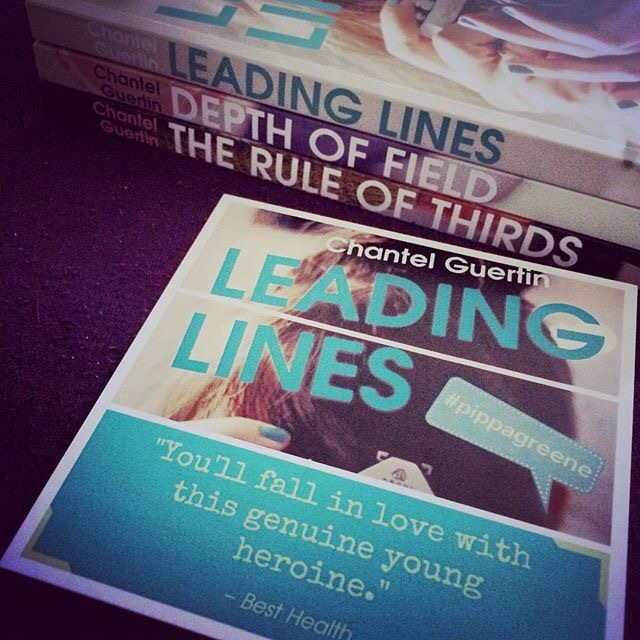 The first two books were quick reads for me but I absolutely devoured Leading Lines; finishing it in only one day. I so look forward to rereading the entire series when the next book comes out and living this story all over again! My Pippa-inspired attempt at photography! Here’s chapter 2! Don’t forget to head to ECW Press’s post (linked near the top of this one) to read chapter 1 as well! Have you read any of the other Pippa Greene novels? 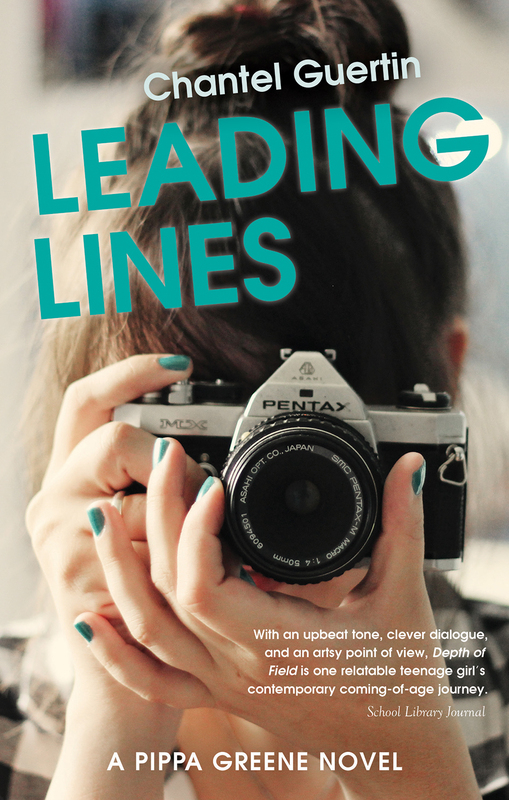 Are you excited about Leading Lines? I hope you love this book as much as I did. I can’t remember the last time I finished a book the same day I started it! Let me know what you think of the excerpt or stop by after you’ve finished and let me know what you think of Leading Lines as a whole!